one of these questions it "YES", then you are in the right place! Hello and welcome to "No Radiation For You" - www.norad4u.com site, which is one of the biggest independent sites about Electromagnetic Radiation(EMR/EMF) and Electromagnetic HyperSensitivity (EHS). The site aims to bring and present information about Non-ionizing radiation (EMF/EMR, Radiof-requency, Extreme Low Frequency, Dirty Electricity, and other types), studies that about the possible mechanism of harm of EMF, the possible health effect of the exposure to it, measuring it, exposure reduction and protection. The site brings also a lot of info about EHS, which I believe is created due to long term exposure to EMF and that to my belief is becoming an epidemic of the 21 century. I try to bring all this info in an easy to read and understand language (it is important to note I am not a native english speaker) that will allow people without technical background to understand and to learn more about these subjects. The site include lots of original pictures, videos, guides, presentations. In the header of every page there is a search field, bellow it a horizontal navigation bar. In the footer of every page, you will also find the site page structure. Press here to contact us! Do you have a question, Do you need help choosing an EMF meter, reducing exposure, choosing and install EMF protection? Contact us and we will try to answer any question, explain and redirect you on the path that is right for you. Our new(2018) guides will allow you to do a faster and better job of learning about EMF, about EHS, reducing exposure, measuring and using protection. Learn how to reduce your exposure to EMF/EMR. The only good thing about EMF/EMR is that, if you are aware of it, you can reduce your exposure by following a few basic steps. Sometimes you will need to move a way from the source, sometimes you will need to replace it and sometimes you will just need to use it wisely. If the EMF/EMR is coming from outside your house, you might need to install RF or ELF protection and shielding. This is usually the last step after you measured the EMF/EMR, identified the sources, reduce your exposure by other means, and removed any EMF/EMR sources from within the house. 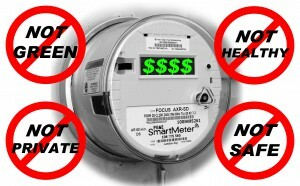 "Smart meter" is a promotional code name for wireless gas, electric and water usage meters that are now being installed, around the world. The deployment is being promoted as green, safe, cost effective while in reality, it is not green, not safe and not cost effective. Why is WiFi in schools such a bad idea? WIFI in class and schools conflicts with the EU assembly resolution that calls for exposure reduction to RF EMF/EMR. WIFI and cellphone use should be banned in schools! Updated EMF/EMR science and study page! In own recently updated EMF/EMR science, report and studies page you will find short description and links to studies, reports and science material about RF and ELF and their health effect. Using EMF/EMR meters you can actually “see” the radiation to understand more bout EMF/EMR and to reduce your exposure. With a mete,r you will become an ambassador for EMF/EMR awareness. They can be used when and where ever you like, and for how long you need. You can also lend the meters to friends and family and by that help them too. I think that a RF and ELF meters are a must item for every EHS person. Since the launch of the site we have been reviewing and testing EMF/EMR meters. We bring our views on these meters, in addition to pictures and video that will hopefully allow you to experience the meters before you buy them. 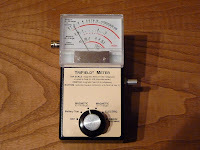 If you would like to purchase EMF meters you can do it in this site or at our eStore site www.4EHSByEHS.com. By doing so you will get a special discount for www.norad4u.com readers. General info about EMF/EMR, EHS and "
Electromagnetic Fields(EMF) or Electromagnetic Radiation (EMR), Cellular radiation, Wireless Radiation, Microwave Radiation (WM), Electric Radiation, Electric Field, Magnetic Field, Power Density, Field strength, High frequency, Radio Frequency (RF), Extreme Low Frequency (ELF), all these words describe different sides, parts, types and shapes of what is generally referred to as Unnatural, None Ionizing, Electromagnetic Radiation (EMR). Cell phone's antenna, cell phone masts, cell phones, smart phones, cordless (wireless) phones, WIFI routers, wireless computers, wireless communication systems, microwave ovens, military equipment and systems, electronic equipment and machinery, electronic equipment, electric appliances, electric systems and electric power lines, all of the above are sources of electromagnetic radiation. It is possible to measure these types of electromagnetic radiation from all the above sources (and more) using different types of EMF/EMR meters. The best protection from all types of EMR is to limit and reduce the exposure (reduction of the levels and the time of exposure). The first way to reduce and limit the exposure should be done by limiting the use of EMF/EMR emitting sources. When there is no other choice we can block, reflect or absorb the EMF/EMR. In case of Radio Frequency and high frequency (cell phones, wireless) the task will be rather easy and in the extreme low frequency magnetic field (electric power lines, electric devices and systems) it might prove to be more complex and a lot more expensive. EMF/EMR is all around us. We are exposed to in at our work place, in our home, in our car, and even when we are outdoors. In order to see EMF/EMR you need to use special meters and monitor. Mainstream Science is still trying to find definite proof to the health effect of electromagnetic radiation, while the evidence is accumulating the final verdict is still not clear. As the spread of EMF/EMR is increasing a new medical condition called Electromagnetic HyperSensitivity is becoming more and more common. EHS people develop wide health issues and symptoms as they are exposed to EMF/EMR. In this site we will cover and explain, in simple ways, subject and issues related to electromagnetic radiation (and its' different forms and types), electromagnetic radiation sources ( Cellphones, WIFI routers, wireless phones, electric appliance and electrical infrastructure) , Electromagnetic HyperSensitivity (EHS), Electromagnetic radiation measurements, related articles, studies and news from all over the world. Use our custom search to search EMF/EMR(Electromagnetic Fields/Electromagnetic Radiation) and Electromagnetic hyperSensitivity(EHS) related topics on more than 100 sites that deal EMR and EHS. Mostly Hebrew, and some English, blog on tapuz (Israeli blog portal). English only blog in which we try to follow EMF/EMR related news,topics and events world wide. Our youtube channel presents home made video clips of measurements or EMF/EMR emitting devices and sources. Join Our Facebook Fan page to get updates about the site, new posts, new videos and more. Follow our Twitter page to get updates about the site, new posts, new videos and more.